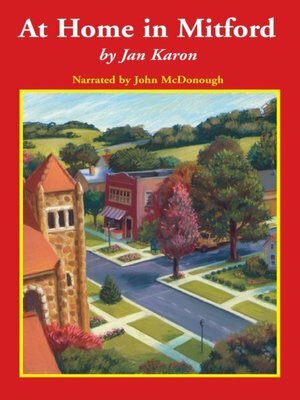 Jan Karon left an award-winning career in advertising to settle in a peaceful village in North Carolina. There, she began writing about a small fictional town not unlike her new home. At Home in Mitford captures all the wonderful characters, special moments, and unhurried charm of life in a place many would move to if it were really on the map. When gentle, middle-aged Father Tim first arrives at the rectory, he longs only for a personal and spiritual routine. But an enormous black dog responding only to scriptural commands adopts him; he acquires an outspoken young boy; and an attractive, artistic neighbor stirs up frisky feelings in his heart. Soon Father Tim is no longer a stranger. He is part of the colorful landscape of people who have both tales to tell and secrets to keep. The themes of At Home in Mitford are familiar ones: love and faith, courage and sacrifice, but through Father Tim's eyes, the townspeople and the challenges they face become new again. Mitford becomes a celebration of the strength and good humor of the human spirit.